Available in Spider Version 2017.04.19 or greater. 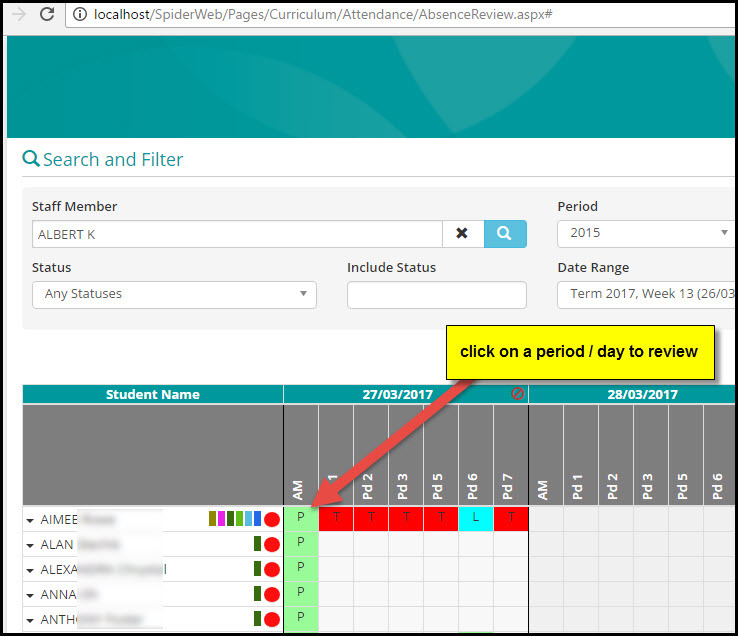 Teachers can now view the change history of a specific period for a student in the Absence Review control. This allows staff to see where a period was marked with one status (? – Unexplained) in the morning via Roll Marking, then changed later that day to explained via Absence Review, or Quick Student Data Entry. Click on the pencil icon to view the change history of the period. 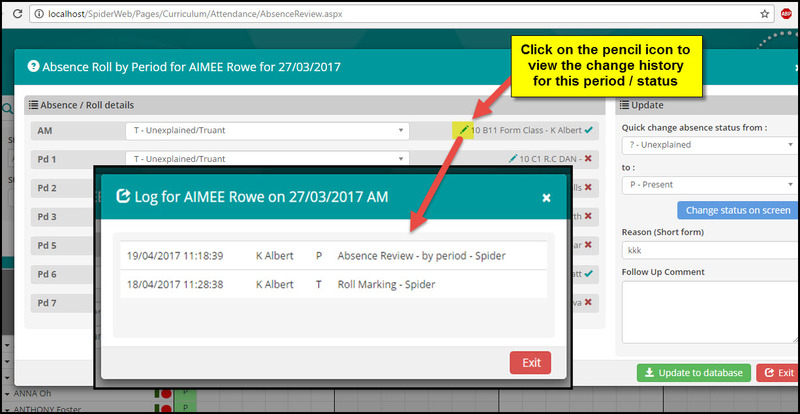 This screen will display the date and time the change was made the teacher who made the change, the absence code/status used and how the entry was made.